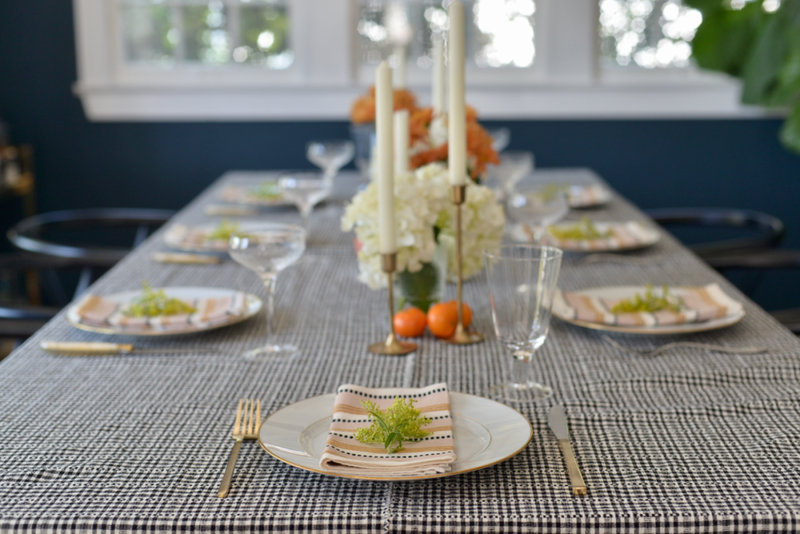 Here's how entertaining-expert Heather Taylor would set my table. When I met Heather Taylor a few months ago at a "Parents and Me" event for incoming students (if you can call them that...) at Sloan&apos;s school, I was immediately drawn to how pulled-together she looked. Even while pregnant, she always looked beyond-chic with a bright lip, cool earrings, and an unparalleled collection of flats. It wasn&apos;t until months later that I discovered she&apos;s also a Scripps alumna—we even crossed over a year!—and the owner of a textiles brand I&apos;ve long-admired, Heather Taylor Home. We quickly bonded over how she had turned her passion into a business. 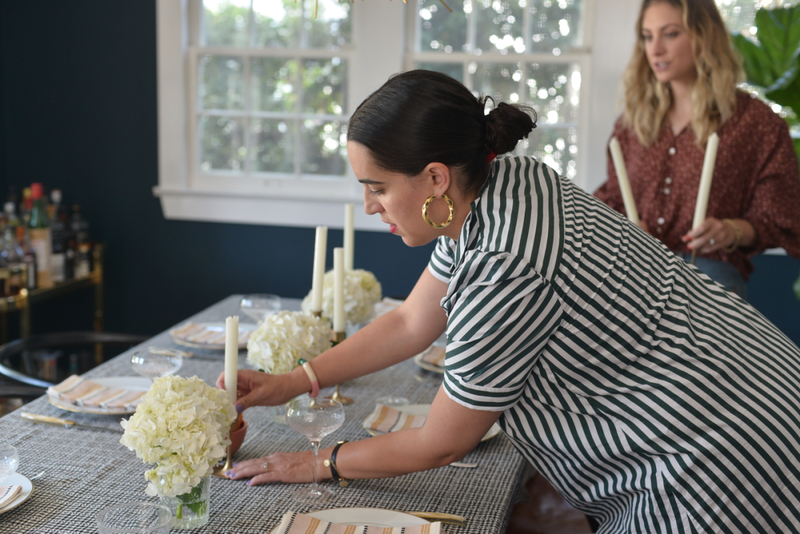 As she put it, "I started Heather Taylor Home because I love entertaining, but I couldn&apos;t find linens that really fit with my aesthetic unless I was traveling or sifting through flea market treasures." 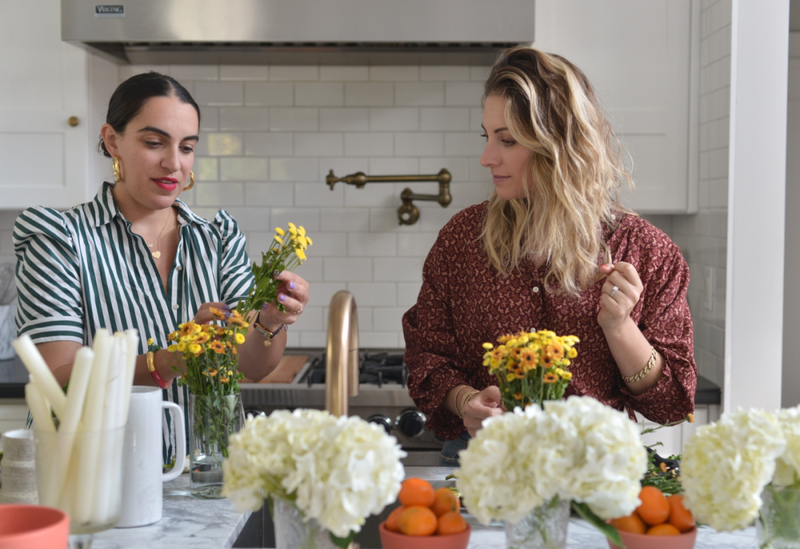 At the time, she was taking a weaving class and selling table runners and small wall weavings to friends over Instagram, so she decided to launch a business that fit the hole she sensed in the market. During Thanksgiving, I’ve noticed that people feel the need to pull out all the stops, with heirloom silverware, rented China, not to mention over-the-top gourd centerpieces. But Heather suggests an alternative: Keep things simple. “You don’t need to set out a million forks and glasses,” she said, pausing to pick up a small plate, “People get bogged down in the idea that you have to have a full five-piece set of flatware and salad plates.” Instead, focus on making things easy: Set out one fork and one plate and, if serving a salad, serve it with the meal instead of coursing it out! 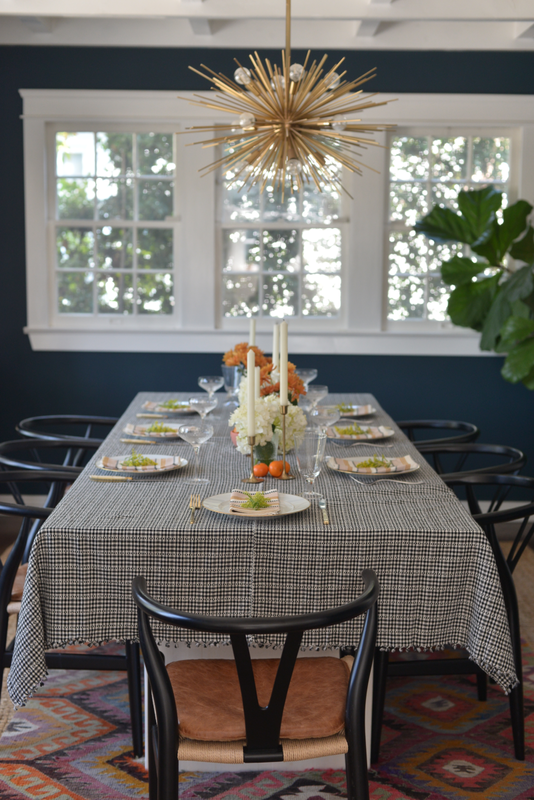 You’ll have a beautiful, simplistic table—and less stress. 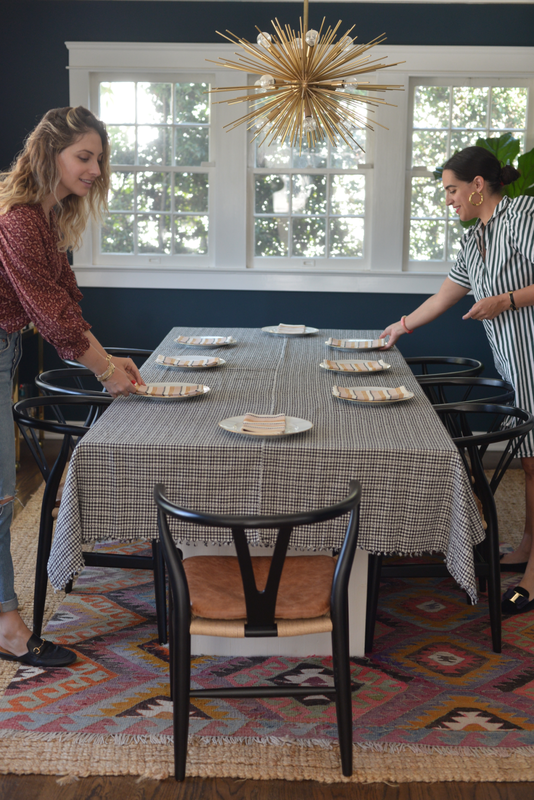 "Such a key part of our look is mixing and matching prints—it&apos;s so eye-catching and easy to implement that it feels like a cheat to create a jaw-dropping table," Heather said. 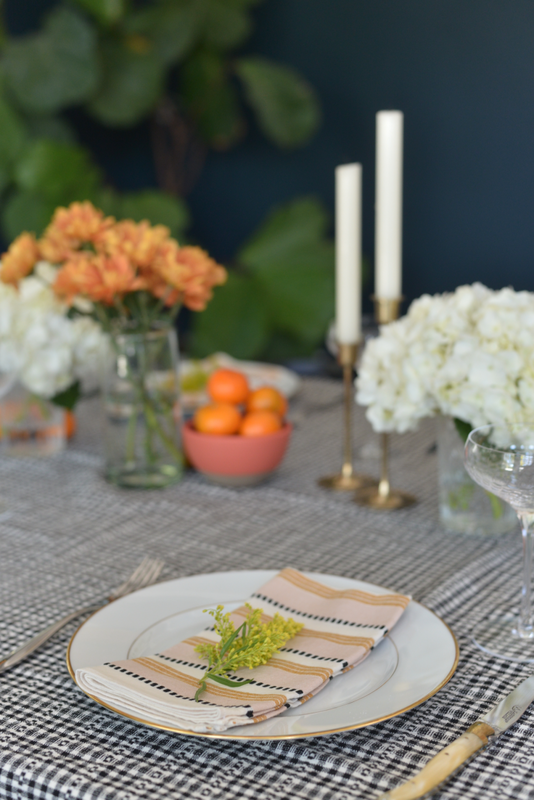 To do it, select contrasting linens that go together. "Think about it like putting together an outfit. 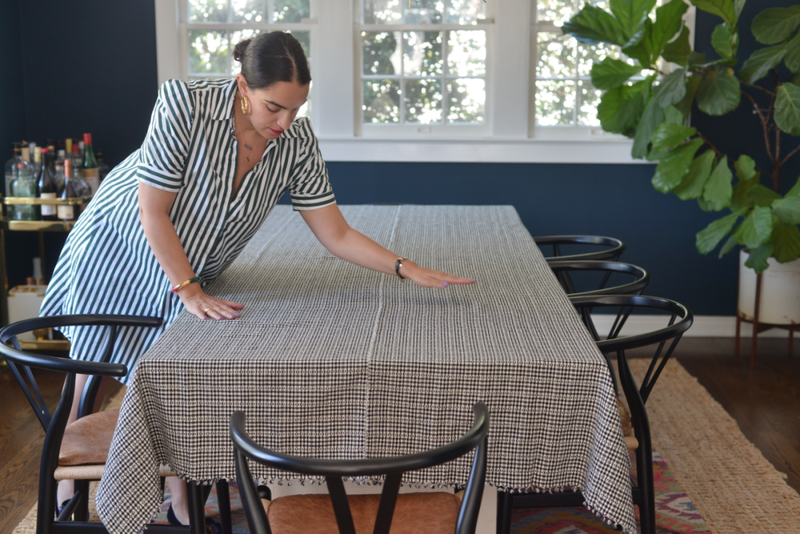 If I&apos;m doing a tablecloth with a tight check, I might want to include a napkin with a broader stripe, with an element, in this case the black-and-white pattern, that echoes what&apos;s happening on the tablecloth," she said. 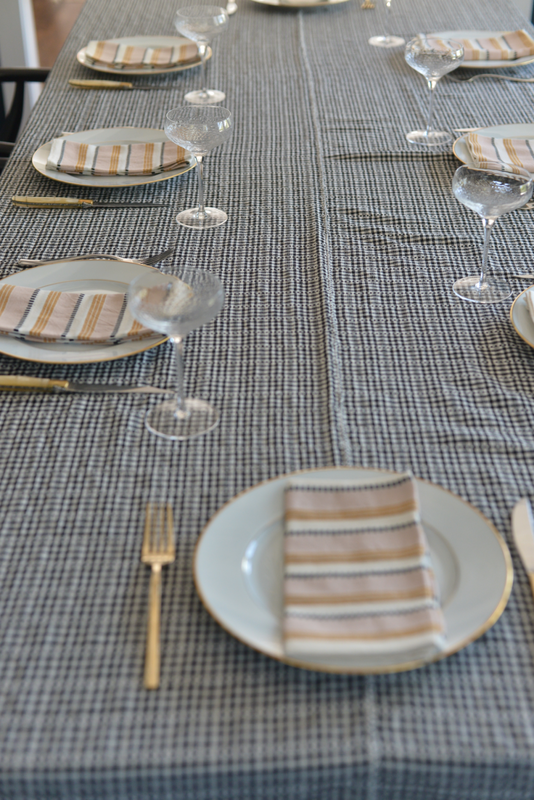 Of course, she added, it can also look dramatic and pretty to match the tablecloth to the napkins if you&apos;re using a bold print. 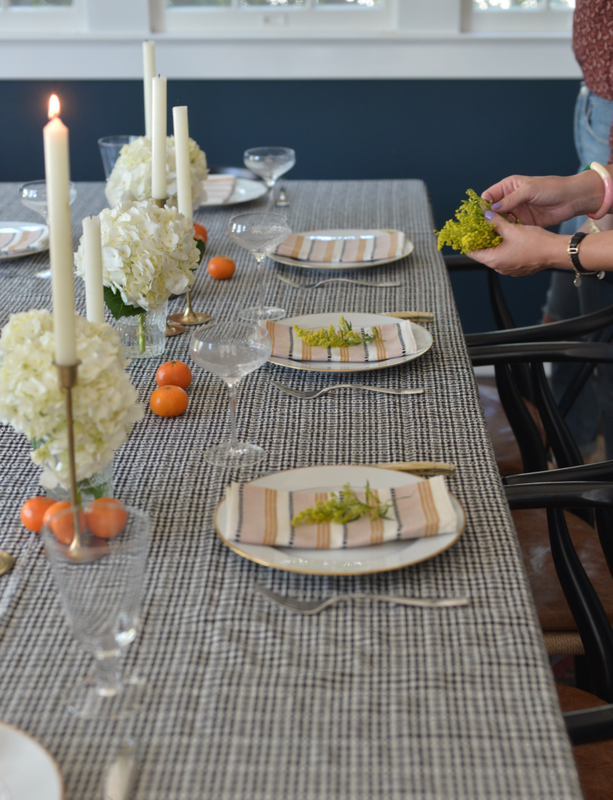 “Unless you’re supremely confident in your floral skills or able to hire a florist for your Thanksgiving,” Heather said, “it’s best to go simple.” She recommends creating small monochromatic bundles in small vases (and if you don’t have an arsenal of matching vases, just use a set of drinking glasses as she did here!). To keep them looking elevated, strip most of the leaves off—too much greenery can look messy and draw the focus away from the blooms themselves—and place them in collections of slightly staggering heights to make them look more full. 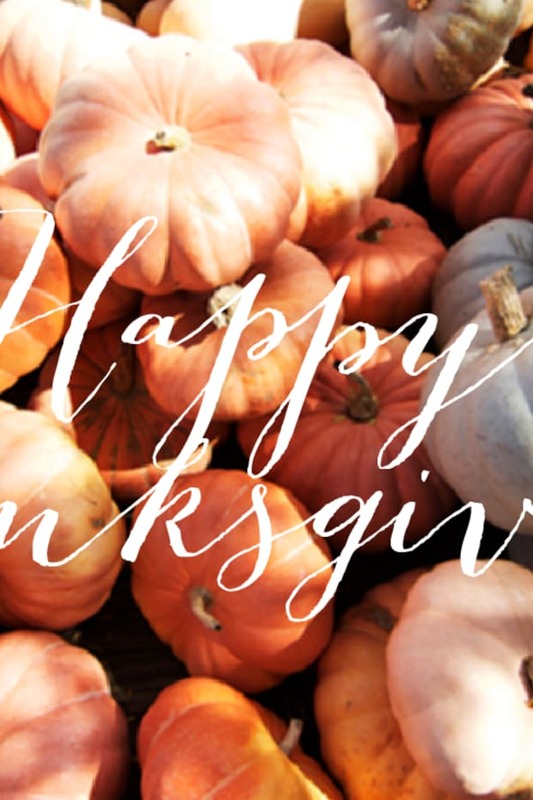 She added, “I also like to have fresh fruit since Thanksgiving is a celebration of harvest. 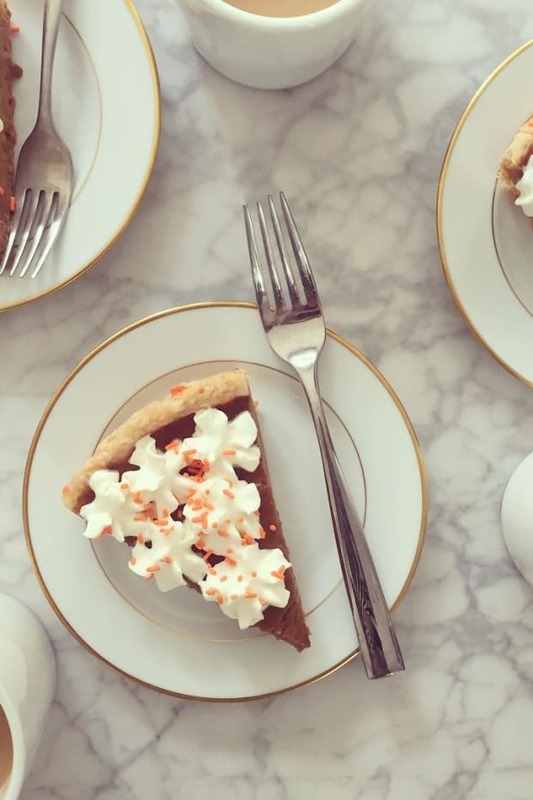 Instead of pulling out gourds and a cornucopia, use something a little bit unexpected like pomegranates or clementines—which can also serve as a pre-dessert palette cleanser after dinner." 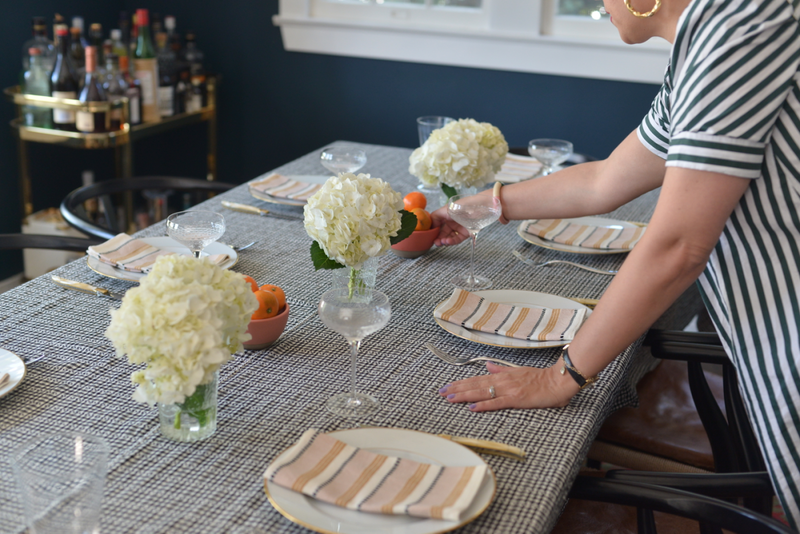 Having a perfectly straight centerpiece (i.e., vases lined up in a perfect row) can look overly fussy. Instead, stagger each item as little as half an inch so that it can look like it all just landed there. Oh this little clementine, hydrangea, and daisy arrangement? I just threw it together! Put together little clusters or vignettes of items in the centerpiece to create intrigue and moments of whimsy on the table. To do this, Heather said, balance is key. 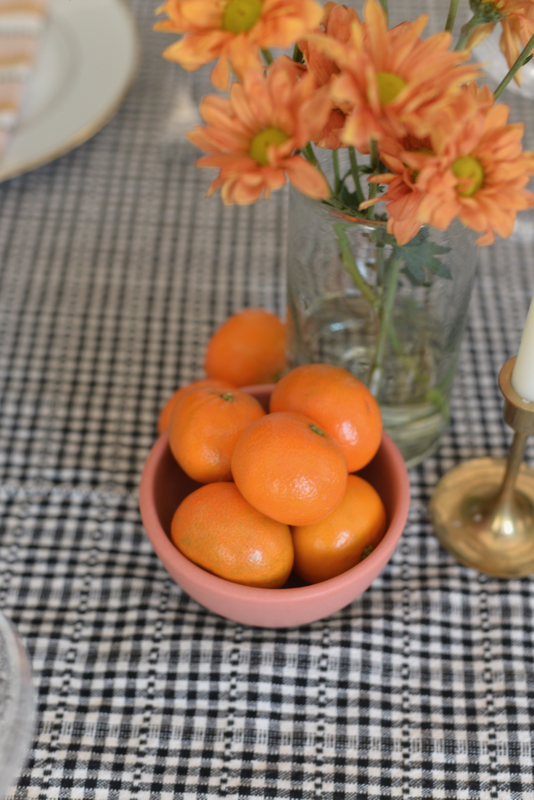 "If you&apos;re going to have two little clementines in one spot, mirror it on the other end of the centerpiece with two to three as well, leaving space between each cluster so it doesn&apos;t look over-crowded." 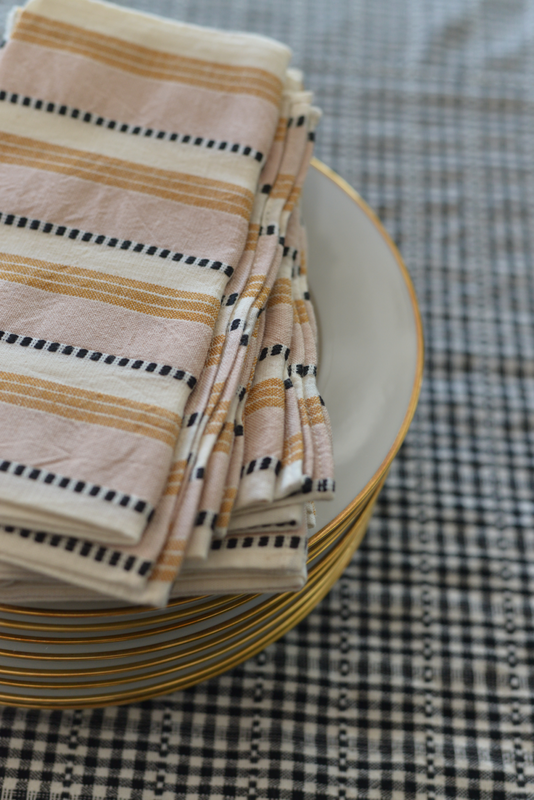 Adding an element on top of napkins or place settings is like finishing an outfit with accessories, and only takes a little effort. 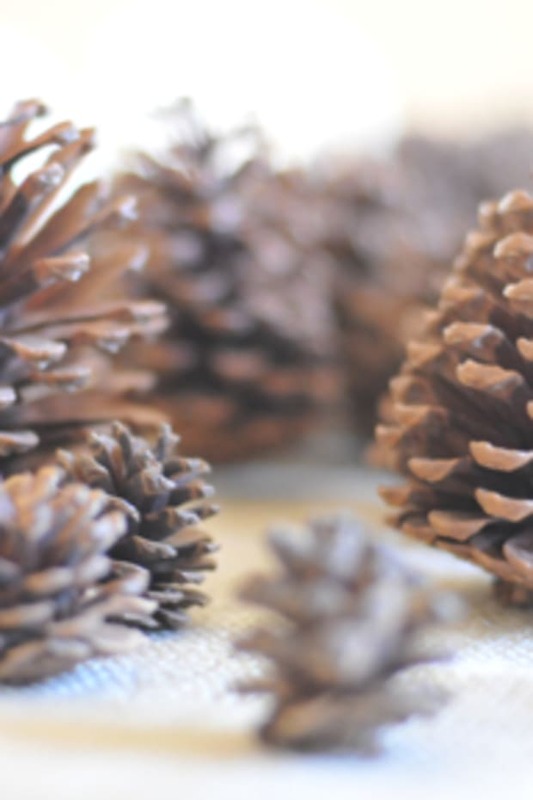 Heather recommends pulling a few blooms from your flower arrangements, or just using what you have. "If there&apos;s an olive tree in the front of your building, go harvest it! Place cards can be as simple as a little piece of card stock with a name written out in pretty font to create a visual story on the table." 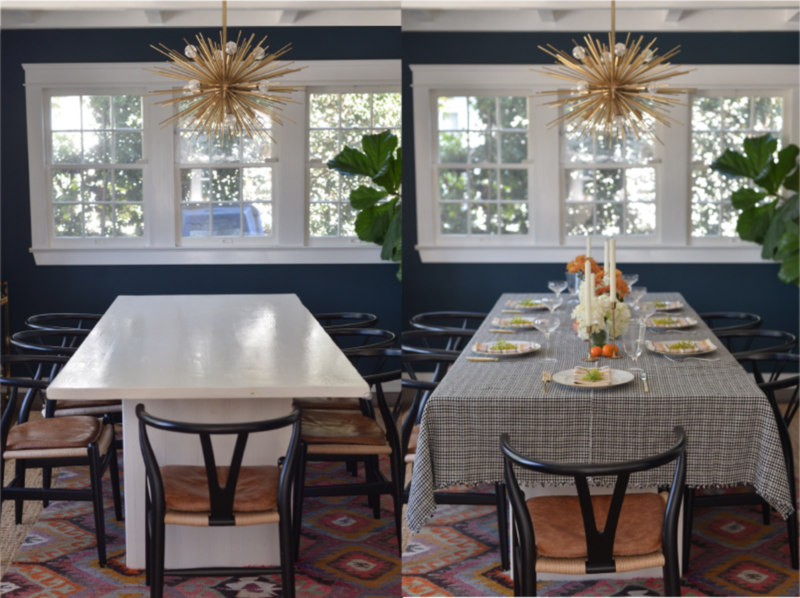 One of my favorite entertaining tips is to leave one or two things “unfinished” so that you aren’t standing around, waiting for guests when they arrive, which can feel over-formal. The same applies to your table—don’t have it look so precious and complete that guests feel like they can’t mess it up. 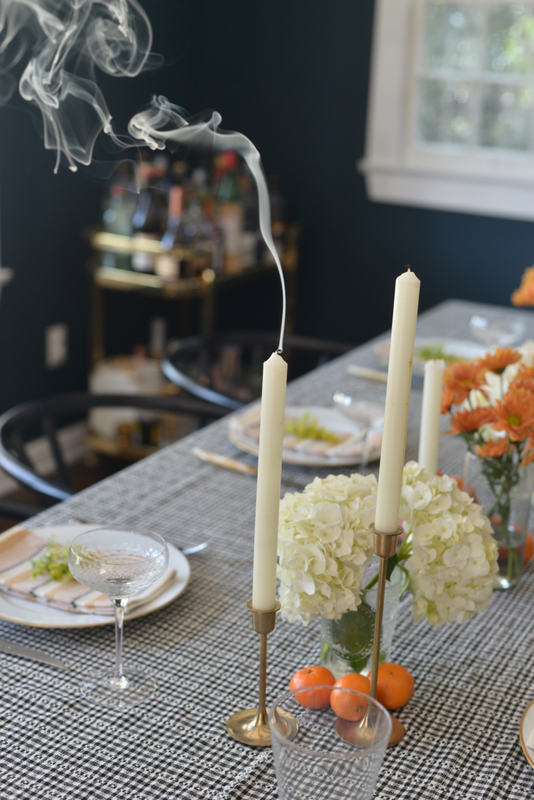 To that end, put out candles that have already been lit and maybe some open bottles of wine that guests can help themselves to before the meal has begun. 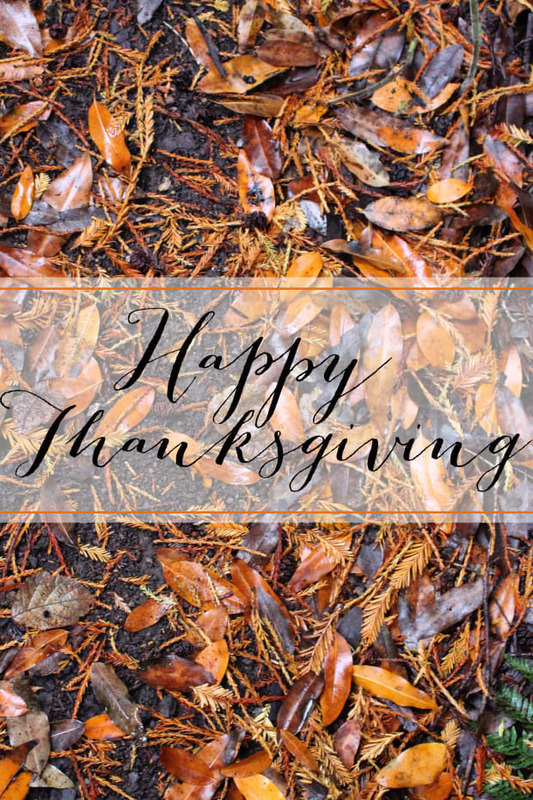 P.S., In honor of Thanksgiving, Heather is choosing one reader to receive two sets of napkins of their choice. 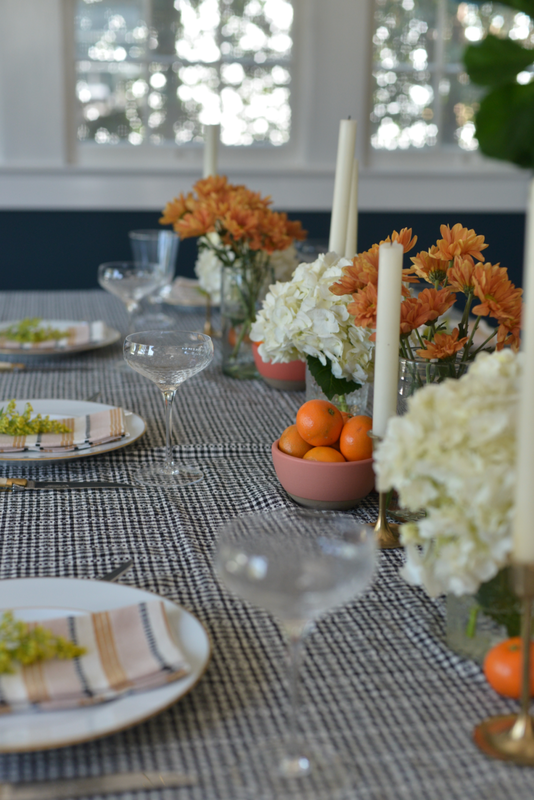 Head over to her Instagram at @HeatherTaylorHome and comment with your favorite tip for Thanksgiving entertaining by midnight tonight, PST, and she&apos;ll select a winner tomorrow!